For your badge making party we’ll bring our funky badge-maker to your house or a venue of your choice. With our treasure trove of carefully sourced materials to rummage through and use – vintage fabrics, silks, saris, recycled maps, comic strips and more – your little jackdaws will be inspired to create their own unique badge designs. Then, using our professional badge maker we will turn each of these into a fabulous badge. Every child will go home with a unique set of badges they will wear with pride (they usually make between 7 and 10 badges each depending on how elaborate their designs). We provide Crafty Jackdaw bags for the children to take these home so no need for you to bother with party bags -just pop in a piece of birthday cake! Crafty Jackdaw badge making parties are suitable for girls and boys age 5+ of all abilities – we support each child to make something wonderful. Introducing our BRAND NEW button badge machine! Fancy making some cute little button badges too? These look fabulous in sets, pinned to your coat, bag, scarf or even displayed in a frame. Using our fabulous range of fabric, papers, books and annuals you can source the perfect image or why not spell out a word? These smaller button badges are perfect for tweenagers and grown ups alike! 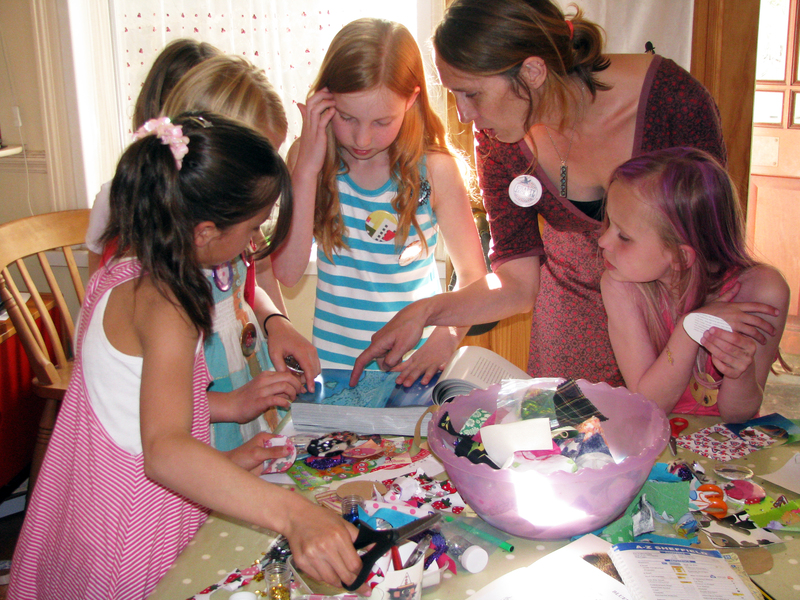 Crafty Jackdaw badge making parties start at £80 for up to ten children (no minimum number required). Additional children are £7.00 per head. We run an hour’s activity, provide all materials and clear away at the end (usually while the kids enjoy their party tea). You can invite as many children as can fit standing around your table! If you prefer a larger party we can come to a venue of your choice. 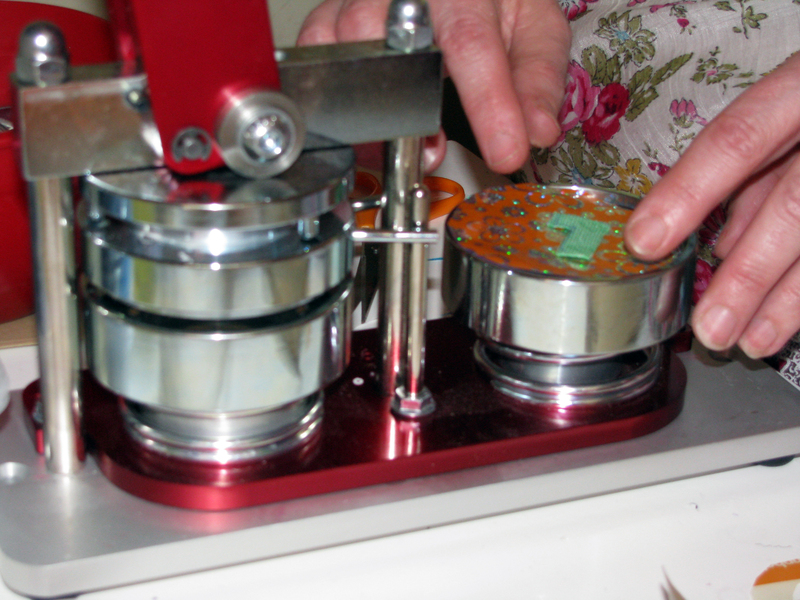 For a little extra we can include Mirror Makin g to the activity. Each child will make a set of two lovely pocket mirrors to add to their collection of badges. Badge and mirror making parties start at £100 for up to 10 children and additional children are £7.50 per head. We also do bespoke parties – perhaps your child has a particular passion for animals, aliens, monsters or fairies? We are always happy to discuss how we can tailor our activities to suit your child’s needs. I’ve just got back from the parent carer forum day and loved your stall! I love baking so I’m happy to do the food/nibbles and buy in fizz, but thought a crafty activity for an hour or so would be fab. Please could you let me know if this would be possible, any ideas you may have and the cost. Hi Sally, I’ve emailed you directly.